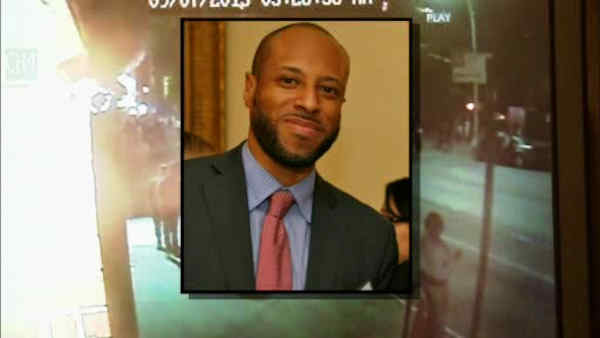 CROWN HEIGHTS, N.Y. (WABC) -- A funeral was held for Carey Gabay, an aide to Gov. Andrew Cuomo who was shot in Brooklyn before the West Indian Day Parade during a pre-dawn party. Services were held Saturday at Brooklyn's Emmanuel Baptist Church, where Gabay and his wife, Trenelle, were members of the congregation. The church is at 279 Lafayette Ave., in Brooklyn. The service and burial were by invitation only. The governor attended the funeral, calling Gabay an "extraordinary human being" with a "smile that lit up New York." He also brought up the lack of gun control in New York, calling it out of control, and called for federal gun control. The 43-year-old Gabay died earlier this month. His family released a statement on Monday saying, "Carey Gabay, our beloved husband, son, brother, uncle and friend passed away on September 15th. A talented lawyer and public servant, Carey, 43, was taken away from us too soon after he was the innocent victim of senseless violence. He is no longer with us but his legacy will live on." Those wishing to make donations to the family can visit www.careygabay.com. Mementos, cards and other expressions of sympathy may be sent to The Gabay Family, 137 Montague Street, Suite 385, Brooklyn, NY 11201. Flowers may be sent to the Emmanuel Baptist Church c/o The Gabay Family, 279 Lafayette Avenue, Brooklyn, NY 11238. The NYPD is now using facial recognition software to try to track down the gunman, who police believe is a local gang member. Authorities said he opened fire at a rival among hundreds who were peacefully enjoying the festivities, striking the first deputy counsel to the governor at about 3:47 a.m. The suspect is described as a black man in his late teens or early 20s who was wearing a white T-shirt and black pants. He had a beard and was draped in a Jamaican flag. Detectives have collected more than 300 videos from the scene. The NYPD is offering a $22,500 reward to try to find the killer.